More than 6,000 jobs have been created or safeguarded in the region over the past year as a result of foreign investment. New figures released today show the Greater Birmingham area welcomed more foreign direct investment (FDI) than another local enterprise partnership (LEP) zone in the country - mirroring the results from a year ago. During the 2014/15 financial year, the Greater Birmingham and Solihull LEP (GBSLEP) area attracted 73 new FDI projects, nine per cent more than the next highest LEP, with investors including Jaguar Land Rover, KPMG and Amazon. This investment created and safeguarded a total of 6,104 jobs, nearly 1,800 more than any other UK LEP. This comprised 4,739 new jobs - 1,634 higher than the second ranked LEP - and 1,365 safeguarded roles. US firms were the most prominent investors, accounting for 22 per cent of all projects, according to the new data from UK Trade and Investment. Hydraulics manufacturer HydraForce, which is moving to Birmingham&apos;s Advanced Manufacturing Hub, and Virgin Media, which recently expanded in the city, were among the biggest investments. While Birmingham was responsible for two-thirds of all projects with a record high of 48, Solihull attracted a 15 per cent share with 11 investments including IT firm Pomeroy and further expansion at automotive manufacturer Jaguar Land Rover. 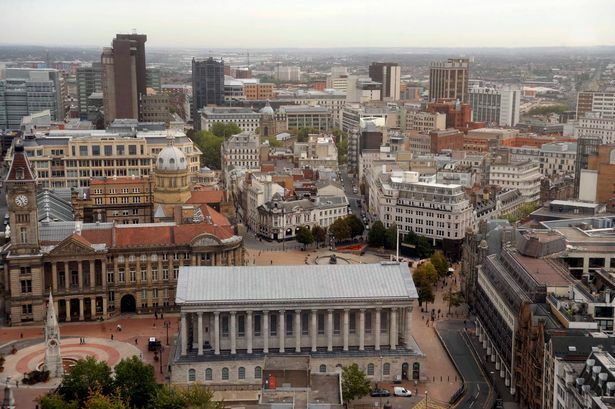 Incoming firms have cited Greater Birmingham&apos;s transport links, affordable space and strong talent pool as major draws. Overseas investment was primarily driven by advanced manufacturing, which represented 40 per cent of all projects, followed by business, professional and financial services with a 30 per cent and IT and digital, with 15 per cent. The automotive industry was responsible for 51 per cent of all manufacturing investments into the GBSLEP. This included Indian firm Amtek Auto Group building a £5 million facility in Kidderminster and creating 100 jobs and the expansion of Spanish-owned Maier UK in Burntwood. Business, professional and financial services was responsible for 22 investments this year, compared with 16 in 2013/14. Online retailer Amazon has expanded in Rugeley while fellow US firm Uber recently set up an office in Birmingham, citing demand for local graduates and the burgeoning young professional community as major reasons for investing in the region. Andy Street, chairman of the GBSLEP, said: "Greater Birmingham has transformed itself into a globally recognised business destination for companies across a range of industries. "That it is attracting more foreign investment than any other region is testament to this. The region is leading the way in advanced manufacturing and is fast becoming a global hub for financial services and digital firms. "Foreign investment is helping to stimulate a private sector led recovery that is creating thousands of new jobs across the Greater Birmingham and Solihull area."